There’s been a growing dissatisfaction and distrust with the conventional publishing industry, in that you tend to have a lot of formerly reputable imprints now owned by big conglomerates. As a result, there’s a growing number of professional writers now going to small presses, self-publishing, or trying other kinds of [distribution] strategies. The same is true of music and cinema. It seems that every movie is a remake of something that was better when it was first released in a foreign language, as a 1960s TV show, or even as a comic book. Now you’ve got theme park rides as the source material of movies. The only things left are breakfast cereal mascots. In our lifetime, we will see Johnny Depp playing Captain Crunch. That same man wrote The League of Extraordinary Gentlemen, V for Vendetta, and one of Time Magazine’s All-Time 100 Novels, Watchmen. Alan Moore certainly has the writing credentials, but is he accurate in his assessment of the future of entertainment? The truth is, as you’re probably well-aware, that the publishing industry is an ever-changing thing. ComicsAlliance writer Chris Sims has called for the “big two” [Marvel and DC Comics] to get serious about webcomics. In other words, for the two publishers to release content for free to compete in an age where people just aren’t buying print anymore. It would work as a way to increase and maintain interest in their product, and would even help sales; people who like reading something online will typically buy it if they like it enough. As for creativity, I wrote in a post earlier this month [Mashin’ It Up] about people who are seemingly just reaching into a bucket of tropes and smashing them together at high speeds. Cowboys and Aliens was a movie that came out last year, and it wasn’t even original; it was an adaptation of a [honestly, not very good] webcomic. 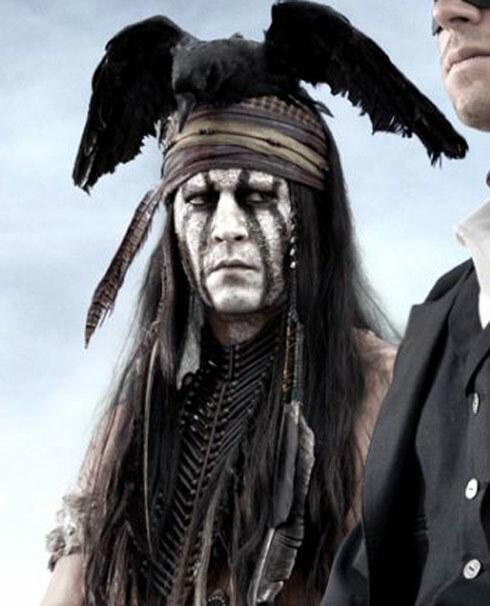 Not only that, but by next year Gore Verbinski will have directed Lone Ranger, with Johnny Depp as Tonto. That could be considered one step closer to Captain Crunch, I suppose. At the same time adaptations are being made of novels. They may not be original screenplays, but the original work is nothing like a TV show from the 80s, it’s not built on nostalgia. Audrey Niffenegger’s The Time Traveler’s Wife was adapted for the big screen, and although it didn’t do great with the critics it still stands as evidence that books will do well; and they’ll do well enough to warrant films. This could lead into the conversation about how some books receive film opportunities before they’re even published, but that’s for another time. The “conventional publishing industry” will continue to change; it has and it will continue to. Alan Moore is a cynical miser of a man [subjective], but he has a point that shouldn’t be ignored. We’re not doing great in regards to creativity, and it’s an area we should expect more from. Cynicism may appear to be the logical place to turn to, but looking for media worthy of attention is the more worthy activity. This entry was posted in comics, film, literature, media, television, video games and tagged Alan Moore, books, Captain Crunch, cereal mascots, Chris Sims, comics, Cowboys and Aliens, DC, film, Gore Verbinski, Johnny Depp, Lone Ranger, Marvel, media, television, The Time Traveler's Wife, Tonto, webcomics, writing. Bookmark the permalink.